Tito Guízar Centennial + 'Bonnie and Clyde' & Late 1960s Zeitgeist + Why Miriam Hopkins Biography? The film will be presented in Spanish with English subtitles. Following the screening, Guízar's daughter and son, actress Lilia Guízar and singer Tito Guízar Jr., will take part in a q&a session. Directed by Fernando de Fuentes, Over at the Big Ranch stars Guízar, Esther Fernandez, Rene Cardona, Emma Roldan, Chaflan, Lorenzo Barcelata, and Manuel Noriega (Guizar's father-in-law). Singing cowboys, golden-hearted bandits and fair senoritas made this movie a box office phenomenon, hailed by historians as the vanguard of the Mexican “charro” genre. 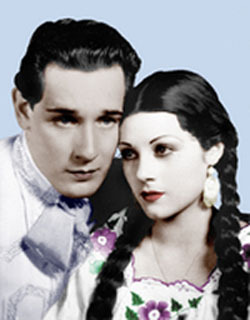 Popular radio singer Guízar is cast as itinerant ranchhand Jose Francisco, who falls in love, in spite of himself, with duckling-turned-swan Cruz (Esther Fernandez). It's essentially a Cinderella story, with a bit of Mexican “action dancing” and cockfighting. Bonnie and Clyde with Faye Dunaway and Warren Beatty. 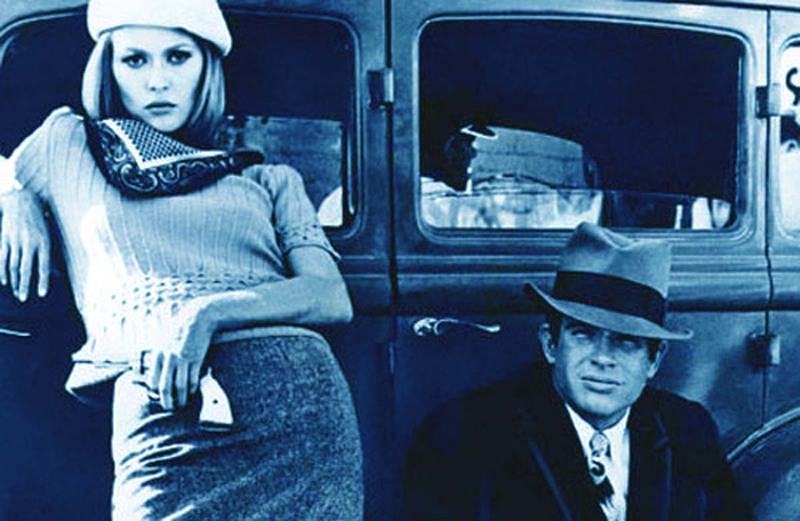 “'I remember a creative impatience by almost everyone involved,” Warren Beatty reminisced about the making of Bonnie and Clyde for the Los Angeles Times' Geoff Boucher. “And there was so much energy on the screen,” he added. It was Victor Hugo who said that there's nothing so powerful as an idea whose time has come. Something is going to happen, and certain things are going to be emblematic of that change, that flux. It was 1968. There was a storm in the world. If someone wants to give us credit for Bonnie and Clyde, I'm happy to take it. Directed by Arthur Penn, Bonnie and Clyde features Warren Beatty as Clyde Barrow and Faye Dunaway as Bonnie Parker, in addition to Gene Hackman, Estelle Parsons, Michael J. Pollard, Denver Pyle, Dub Taylor, and Gene Wilder. David Newman and Robert Benton were credited for the screenplay. Bonnie and Clyde won two Academy Awards: Best Supporting Actress (Estelle Parsons) and Best Cinematography (Burnett Guffey). 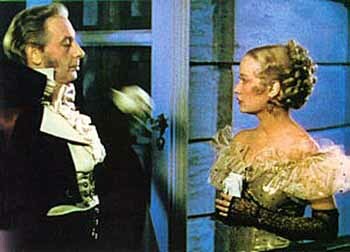 The film was nominated for eight other Oscars: Best Picture, Best Director, Best Original Screenplay, Best Actor (Warren Beatty), Best Actress (Faye Dunaway), Best Supporting Actor (Gene Hackman and Michael J. Pollard), and Best Costume Design (Theadora Van Runkle). The Best Picture winner that year was Norman Jewison's cop drama In the Heat of the Night, starring Best Actor winner Rod Steiger and Sidney Poitier. The year's Best Actress was Katharine Hepburn for another movie featuring Sidney Poitier, Stanley Kramer's Guess Who's Coming to Dinner?, also starring Spencer Tracy, and which earned William Rose the Oscar for Best Original Screenplay. The Best Supporting Actor was George Kennedy for Stuart Rosenberg's prison drama Cool Hand Luke, starring Paul Newman. The Best Costume Design winner was John Truscott for the Joshua Logan-directed musical Camelot, starring Richard Harris, Vanessa Redgrave, and Franco Nero. And finally, the Best Director was Mike Nichols for the Dustin Hoffman / Anne Bancroft / Katharine Ross blockbuster The Graduate. Faye Dunaway and Warren Beatty Bonnie and Clyde image: Warner Bros.
Also, Hopkins was a very sexually liberated woman, both on- and off-screen. No wonder I've always admired her. On his blog, Allan also talks about some of his earlier biographical subjects – Ramon Novarro, Margaret O'Brien, Rudolph Valentino – and his other books (Celebrities in the 1930 Census, Celebrities in Los Angeles Cemeteries), and he has loads of photos and trivia about Los Angeles and Hollywood history. Allan has taken part in four q&a's for Alt Film Guide: Anita Page, Celebrities in the 1930 Census, the Rudolph Valentino legacy, and pioneering screenwriter-producer June Mathis. Next, we'll do a q&a on Miriam Hopkins, and then one on Margaret O'Brien, who happens to be a personal friend of his. Thirty years ago I found an LP for Tito Guizar in a used records shop. Since then I have become a Tito “addict”. He embellishes Spanish singing and can't have enough of his soothing voice and style, which I must hear many times on a daily basis. AAAh! how it calms the soul!! !